Updated 4-2-19. Some states authorize their Notaries to perform a type of notarization known as “signature witnessing” or “attesting a signature.” This act can be confusing for Notaries because it is similar to an acknowledgment. However, acknowledgments and signature witnessings are separate acts with different requirements. Here’s what makes a signature witnessing different. In states such as Colorado, Maryland and Pennsylvania, a signature witnessing is used when it is important to establish that a document was signed on an exact date. Like an acknowledgment, a signature witnessing requires the signer to physically appear before a Notary and be identified as required by state law. They key difference is that for a signature witnessing, the signer must always sign the document in the Notary’s presence. After witnessing the document being signed, the Notary then completes the appropriate certificate wording for the signature witnessing. An acknowledgment, on the other hand, does not require the Notary to witness the signature. The customer may sign it in front of the Notary or even before coming to the Notary as long as they appear before the Notary to be identified and to acknowledge having signed the document. A signature witnessing does not require the signer to verbally declare anything to the Notary. The Notary identifies the signer, the signer simply signs the document in front of the Notary, and the Notary then completes the certificate confirming when the signature was made. In Maryland, the Notary does not need to complete a certificate for a signature witnessing — instead, Maryland Notaries date, sign and affix their seal to the document. While Notaries may perform acknowledgments in every U.S. state and territory, not every state allows Notaries to witness or attest a signature. For example, Notaries in California, Florida and Texas are not authorized to witness signatures as part of their duties. How do you recognize when a document requires a signature witnessing? You can recognize a signature witnessing by looking at the notarial certificate. If it says, “Signed (or attested) before me…”, then it is a signature witnessing. If you are commissioned in a state that does not allow signature witnessings and a customer asks for one, explain to the customer that state law does not permit you to perform this kind of notarization. If the customer wishes, they can choose a different type of notarization — such as an acknowledgment or jurat — as an alternative. However, remember that it is up to the customer to decide what notarization they want and, as a Notary, you may not choose the type of notarization on their behalf. What is an example of appropriate working for signature witnessing? Hi Lorraine, can you please clarify what you mean by "appropriate working?" Someone may want to revisit number 3 of the article which indicates a Florida Notary can not witness signatures. Here is info from Florida: "May I sign a document as one of the witnesses if I am also acting as the notary public for that transaction? Generally, a notary public may sign as one of the witnesses and as the notary public on a document. In fact, it is a common practice among Florida notaries, particularly on real estate transactions. Typically, you will see the title clerk sign as one of the two required witnesses and then notarize the document signer's signature. In addition, a Florida court has held that "there is nothing to prevent a notary from also being a witness." See Walker v. City of Jacksonville, 360 So.2d 52 (1978). However, before signing as a witness, the notary should ensure that the document does not require the notarization of the witnesses' signatures. For example, a self-proof affidavit on a will or codicil requires the notarization of the signatures of the testator and both witnesses. If the notary signed as a witness in this instance, he or she would be notarizing his or her own signature, which is a criminal violation of the notary law. The notary should also certify in the notarial certificate the name of the person whose signature is being notarized. Absent such specific notation, the law presumes that all signatures were notarized. Thus, the notary could unintentionally notarize his or her own signature if the notarial certificate is not specific. Therefore, providing that the document does not require the notarization of the witnesses' signatures, the notary may be one of the two subscribing witnesses as well as the notary public." Hello. The information you quoted is referring to whether a Florida Notary is allowed to sign a document in the capacity of a witness while notarizing another person's signature on the same document. This is not the same as performing the notarial act referred to as "witnessing a signature" or "attesting a signature" described in the article, which Florida Notaries are not authorized to perform. Are CA notaries prevented from signing as a witness (not signature witnessing)? Some documents have notarial wording and spaces for witnesses. Some specify both are required and some indicate either/or is acceptable. Some that require both state that the notary may also sign as a witness, some state that the notary cannot also be a witness, and some offer no instructions. Can you offer some guidelines? Hello Jack. California has no specific prohibitions against Notaries signing as witnesses on documents. It is up to the receiving agency to decide if they will accept such a document. While doing general notary work, when do certificates have to be done? The certificate wording should always be completed while the notarization is taking place. Tip #3. If a Notary cannot witness a signature in Florida I for one will be out of business. Thats what Notaries are for down here. I suggest you check this hout more carefully. Hello. We apologize for any confusion for Florida Notaries due to the similar terminology. Florida Notaries are sometimes asked to sign a document in the capacity of a witness, and this is permitted in some situations. However, in this case the Notary is simply signing the document as a witness without notarizing. The specific notarial act referred to in some states as "signature witnessing" or "attesting a signature" as described in the article above--which requires observing a signature being written and then notarizing that signature--is not permitted in Florida. However, Florida Notaries are authorized to perform standard acknowledgments, which are similar to attesting a signature. This whole thing of witnessing and notarizing is easily confusing. If a person brings a document for notarization that they have already signed, and the certificate wording says, “Signed (or attested) before me…”, then I cannot notarize the document (legally), correct? Could I mark out the name, initial and date it, and have them resign in my presence? Thank you! Hi, Please give complete wording for a witness signature. I'm in the state of Texas and want to be sure I know the difference. Hello. As stated in the article, Texas Notaries are not authorized to witness signatures as part of their duties, so there is no Texas certificate wording for this act. 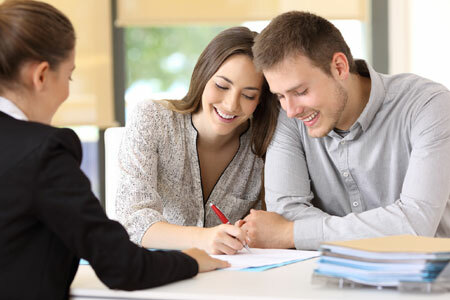 When we do Real Estate Loan Closings we are Witnessing Signatures and notariing them. Is the difference here the fact that we have Jurat or Acknowledgment wording on the form? Exception for Maryland Notaries - In the state of Maryland, the Notary must witness ALL signatures. Maryland has unique requirements. Acknowledgments, Jurats (Oaths and Affirmations), and Official Witness type notarizations require the Maryland Notary to witness the signer's signature.